A while back, I posted about head shapes. 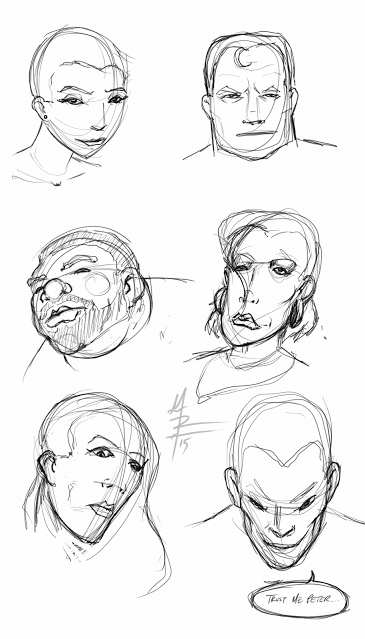 While at brunch today, I decided to do some warm up sketches using a new set of head shapes and see what popped out. 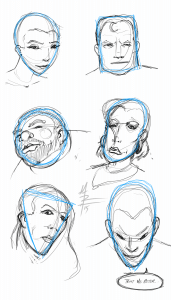 Part of my objective was to do as widely varied a set of characters as I could, with the focus of the differences being the shape of their heads. What could I draw out of the shape to tell a story about the character. After all, for many of us, that’s the goal – tell as much story as possible with a single image (even if that single image is part of a series of images). 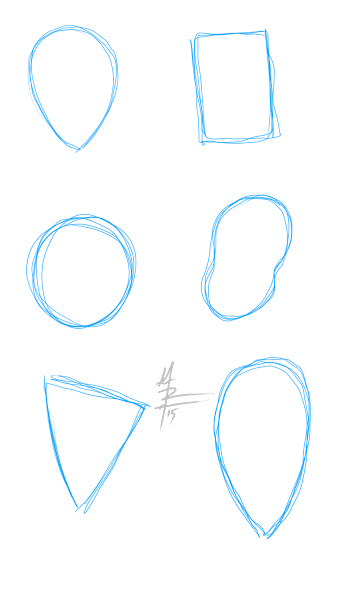 This combination image shows where I headed (sorry – bad pun not intentional) with the sketches. Not quite what I would call ‘finished sketches’, but a general sense of things at least. These were intended as simply warm ups, so I’m not too worried about things not being uber refined. Lastly, a simple version with just the sketch layer turned on to make things a little more clear. As before, feel free to download the blue line ‘template’ version and try creating some faces for yourself. 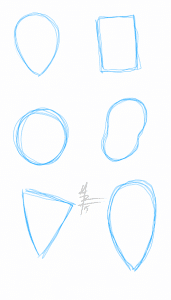 How much character can you put into each of these shaped heads? Post them in the comments section below – I’d love to discuss them!